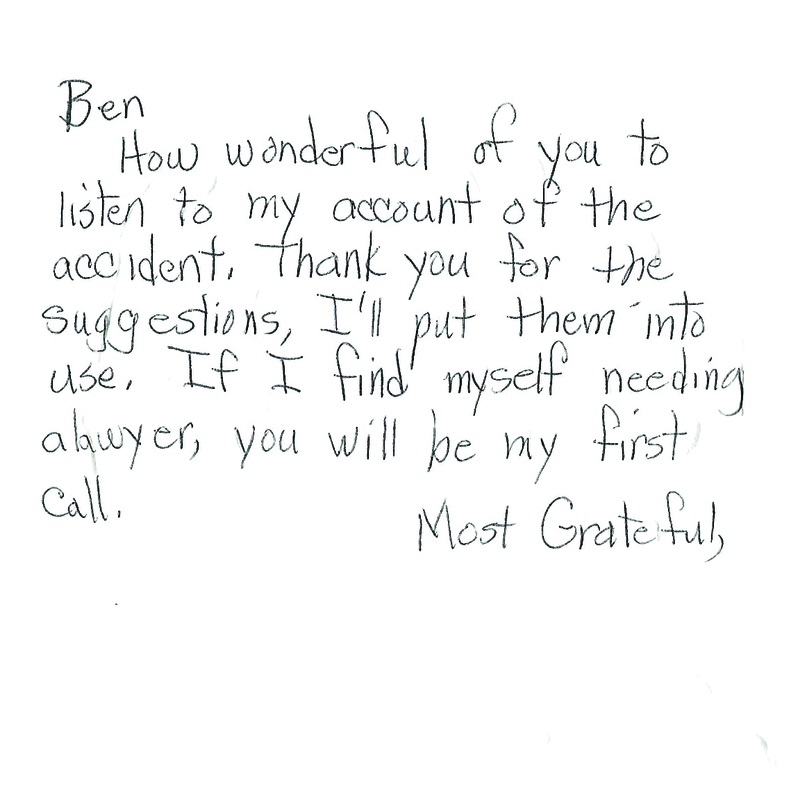 How wonderful of you to listen to my account of the accident. Thank you for the suggestions, I'll put them into use. If I find myself needing a lawyer, you will be my first call.